Castor oil is one of the best kept secrets in the world of natural health. Taken from the bean of the castor plant, this oil is rich in ricinoleic acid, which exerts powerful therapeutic effects. 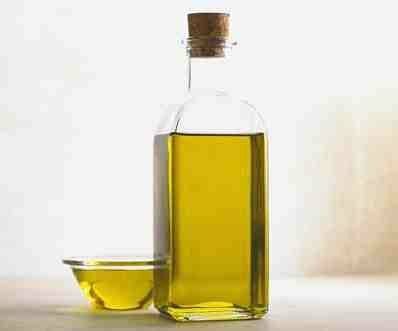 How can castor oil benefit fertility? Castor oil best exerts its powerful effects when applied topically, directly to the skin. This treatment will help break down scar tissue including cysts, endometriosis and blockages in fallopian tubes, eases menstrual pain, draws out toxicity and helps to stimulate circulation therefore bringing a healthy blood flow to the uterus. Castor Oil packs are an ideal complement when used alongside Fertility Massage or Self Help Fertility Massage. A castor oil pack is an external application of castor oil. A piece of wool flannel is saturated in castor oil and applied to the abdomen with a hot water bottle or heat pack. I recommend castor oil packs to improve assimilations, eliminations, circulation (especially of the lymphatic system) and breaking down scar tissue. Use the pack in the evening, as you are resting before bed or when you have quiet time. During the preparation for conception phase you can perform 3 times a week for a minimum of 30 minutes. When trying to conceive, perform only during the first half of menstrual cycle (from menstruation to ovulation). 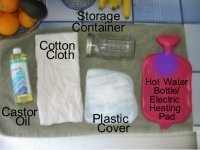 Place the hot water bottle over the pack. Leave it on for 30-45 minutes. Rest while the pack is in place. After removing the pack, cleanse the area with water.